When a fourth Toy Story film was announced for 2017 the reaction online was probably not the one Pixar would have hoped for. They were generally not too positive- to put it mildly. Pixar themselves have recently fallen from their positions as the film industry's most beloved (and trusted) creative force. After an unprecedented run of box-office and critical smashes they've had a run of less successful films. Add to this a future slate heavy in sequels, and in a fan community that loves to deal in absolutes this means that they are to be totally written off as "over" or a spent force. In such a context their return to their most popular franchise could be seen as an act of desperation. The action of a company that has run out of ideas. Not so fast, I say! 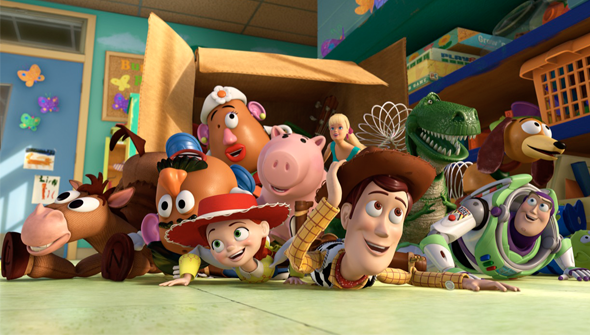 There's still plenty of reasons to look forward to Toy Story 4- or at least not write it off so early. 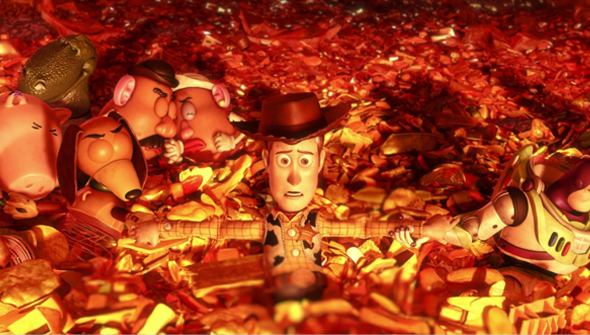 I've written ad nauseum about how I feel the Pixar backlash is a bit much. Yes, Cars 2 isn't much cop if you're over the age of 6 and Brave and Monster's University are not the studio's best. But they're still a lot better than a lot of stuff being put out by the competition. We're due two new Pixar originals this year- and based on the trailers Inside Out is shaping up to be pretty fantastic. "But Chris!" You say "Toy Story 3 was the perfect conclusion to the trilogy!" And indeed it was- and I'll admit my gut reaction was that they should have left it well alone. But the characters have continued to live on in the shorts and TV specials- and they have in no way soiled the franchise's good name. However, we could have easily have felt that Toy Story 2 and 3 were unnecessary at the time- and they only got better and better with each film. The description of the new film as a romantic comedy provoked some pretty extreme negative reactions. Yet the revelation that the new film would not be a continuation of the story was perhaps the smartest move they could make. Andy's story came to a perfect conclusion. That story is done and dusted. But who's to say that Woody, Buzz and co can't have more adventures later? And that's even assuming that it will concentrate on the same characters at all- maybe we'll get new leads. It also ensures it doesn't step on the original trilogy's toes and is its own thing. If worse fears are confirmed and it turns out badly, then we'll still have the original three. When Pixar says that they've come up with a story they just had to make, I'm inclined to believe them. This is no rushed cash-in job- by the time it opens 7 years will have passed since the original. As a rule Hollywood as an industry acts fast and it's not uncommon for sequels to be greenlit when a film is still in cinemas. Hell, The Lego Movie's sequel was announced within days of the original opening. Say what you want but Pixar (and recently Disney Animation Studios) are not in the business of rushing sequels. I don't know if it's going to be any good of course. All I'm saying is that Pixar have earned the benefit of the doubt. We only have the smallest details so far, so to write it off at this stage is frankly, ridiculous. At least wait until you've seen a trailer (and even those are often unreliable as indicators of a movie's quality). Personally, I can't wait to find out more. The odds are stacked against following up one of the most acclaimed trilogies in history with a film that does it justice. But do you know what? If anyone could do it, I'd bet it'd be Pixar.